Get Your FREE Special Report. Download Any One Of These FREE Special Reports, Instantly! This report will help you evaluate if you are being paid a fair amount for the responsibilities you are shouldering. 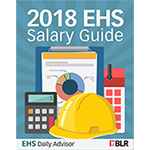 In addition, EHS managers can find the information to keep their departments competitive and efficient—an easy way to guarantee you are paying the right amount to retain hard-to-fill positions but not overpaying on others. In a letter to EPA Administrator Andrew Wheeler, a bipartisan group of six senators added their voice to those urging the Agency to leave in place its Mercury and Air Toxics Standards (MATS). 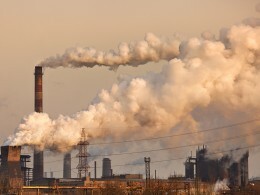 The letter responds to an EPA proposal (February 7, 2019, Federal Register (FR)) that contemplates reversing the Agency’s prior position that it is appropriate and necessary to regulate emissions of hazardous air pollutants (HAPs) from coal- and oil-fired electric power plants under Clean Air Act (CAA) Section 112. While the proposal does not precisely state that a new determination that MATS is not appropriate and necessary constitutes a rescission of MATS itself, the EPA also asked for public comments on whether withdrawal of the appropriate and necessary finding would legally require that the Agency also withdraw MATS. The Senate letter suggests that the proposal is a prelude to such a withdrawal. Issued in 2012, MATS was primarily concerned with reducing emissions of mercury from the combustion of fossil fuel. The EPA projected that the standards would reduce these emissions by 90 percent. The most controversial aspect of MATS was the cost of compliance, which the Agency estimated at $9.6 billion annually, a sum the Agency found acceptable because the rule would produce aggregated benefits of $37 billion to $90 billion each year. In its proposal, the EPA stated that most of the benefits are cobenefits (that is, reductions in emissions of pollutants that are not HAPs) and that the actual reductions in emissions of mercury and other HAPs added up to a benefit of only $4 million to $6 million annually. The basis of the EPA’s proposal is that it is not appropriate and necessary to retain a rule that imposes costs so far in excess of the value of benefits. One dilemma facing the Agency is that MATS appears to have been largely accepted by at least some members of the power sector to which it applies. For example, in July 2018, industry groups that included the Edison Electric Institute, American Public Power Association, and National Rural Electric Cooperative Association informed the Agency that since MATS took effect, the industry has invested more than $18 billion, excluding operating costs, to comply and are achieving substantial reductions in emissions of mercury and other HAPs. “Given this investment and these emissions reductions, regulatory and business certainty regarding regulation under CAA section 112 is critical,” stated the groups. They added that units that were retired due in part to MATS—along with other regulatory requirements, low natural gas prices, resource planning initiatives, and a variety of other factors—have been decommissioned and cannot be reinstated. Accordingly, the groups urged the EPA to leave the underlying MATS rule in place and effective. As with industry, the senators call attention to the investments utilities have made, which have been funded by ratepayers. They agreed that the electric power sector industry is now in a state of regulatory certainty, at least in terms of HAP emissions. The letter was signed by Senators Lamar Alexander (R-TN), Tom Carper (D-DE), Susan Collins (R-ME), Joe Manchin (D-WV), Thom Tillis (R-NC), and Sherrod Brown (D-OH). Manchin’s was a conspicuous signature. In June 2012, Manchin voted in favor of a Senate joint resolution to disapprove MATS. The coal mining industry in Manchin’s state of West Virginia is in decline, as is coal-fired power in most of the country, at least in part because of federal environmental regulations. Coal mining is also in decline in Alexander’s state of Tennessee. But in a press release announcing the senators’ letter, Alexander noted that MATS is supported by health and medical organizations based in or with chapters in Tennessee, including the American Lung Association, American Academy of Pediatrics, Mental Health America of the MidSouth, Physicians for Responsibility, Rural Health Association of Tennessee, Tennessee Academy of Family Physicians, Tennessee Association of Adult Day Services, Tennessee Charitable Care Network, Tennessee Nurses Association, Tennessee Primary Care Association, Tennessee Public Health Association, and Tennessee Society for Respiratory Care.